The DurbanGeek ~ IT Solutions: Malware... what is my best form of protection? Malware... what is my best form of protection? The computer security industry is swarming with hundreds of applications claiming to keep your PC free of spyware. Some of them are great, some are just decent, and some are a plain waste of money, or might harm your PC themselves! 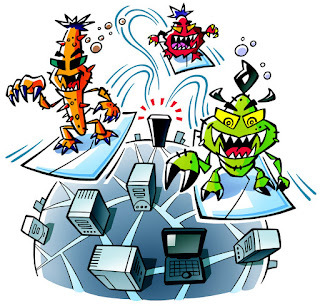 Freedom from spyware and adware,malware Trojans can come free, you just have to know the right tools to do so. I recommend these two anti spyware programs, they are proven and tested to be the best of the best, and they won't even cost you a penny. Become an educated computer user, and keep your PC free from spyware infections with these two programs. 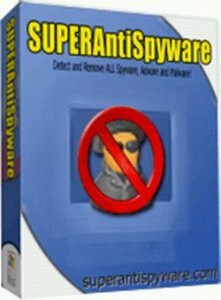 Super-Anti-Spyware has quickly shown itself to be one of the best free anti adware programs available. It is known to catch many infections that other programs miss, scans fairly quickly, and is fairly simple to use. MalwareBytes is also is great for catching the elusive spyware infections. However, MalwareBytes is not as good as cleaning up smaller things such as tracking cookies. I advise people who use MalwareBytes to use it in conjunction with Super anti-Spyware. What SaS may miss Mbam will find or vice-visa so I keep both programs on my PCs and update them and run them fortnightly. Note run them one after another not at the same time. Links to SaS and Mbam can be found in my free software tools section of my blog. Running the malware programs with Ccleaner by Piriform and my antivirus keeps my PC's 100% healthy.